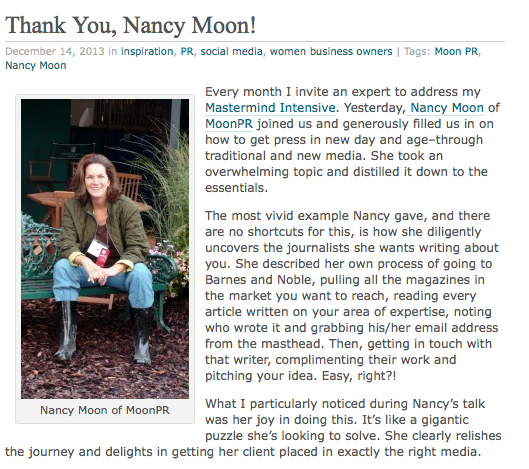 Recently I was asked to speak about Public Relations to the participants in Jane Pollak‘s Mastermind Intensive. Jane really lives her tagline: “Leading Remarkable Women to Uncommon Success.” She was kind enough to write a blog post about my visit. Yes, I do think that every public relations challenge is a puzzle to solve, and I couldn’t help but offer some of my favorite PR tips and tricks. Thank you, Jane!